The organization warned, however, that Russia could be banned from competing at the Tokyo 2020 Olympic Games and prohibited from hosting major events in any sport if the data retrieved from the laboratory two weeks late is found to have been tampered with. If evidence of manipulation is found, the CRC has claimed it will convene “immediately” to review the facts and will recommend the Executive Committee declares RUSADA non-compliant. Failure from RUSADA to allow reanalysis of samples by June 30, the second criteria outlined when the organization was controversially reinstated in September, would also trigger the same process. “If there is evidence of tampering, the CRC has put on record that it will meet immediately, and if tampering is confirmed, will recommend the severest possible sanctions,” CRC chairman Jonathan Taylor said. The CRC said it had considered additional punishments for Russia’s refusal to comply with the deadline – which WADA officials initially stressed was a “hard” ultimatum – but the group highlighted how compliance standards say formal proceedings should only be a “last resort” and that there was no precedent for such sanctions. WADA President Sir Craig Reedie admitted “several” unnamed members of the Executive Committee voiced their disappointment that the deadline had been missed but said they “agreed that no sanction in that regard should be imposed”. The recommendation from the CRC was endorsed “without dissent” from the Executive Committee members which participated on the short teleconference call today. “Collecting the all-important data is a critical step, and it was not easy to achieve,” Sir Craig said. “We are not yet at the finishing line and there is a lot more to do but undeniably we are much further along the track than we would have been without the September Executive Committee decision. “We are now proceeding to the second phase of that decision, namely authenticating the data retrieved from the former Moscow Laboratory so that ultimately we can use them to catch more athletes who cheated and to exonerate others. 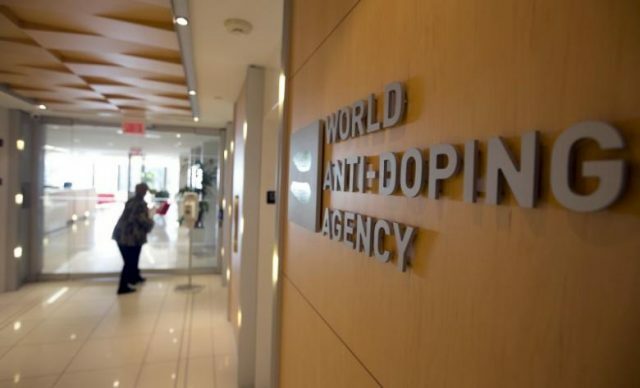 In a statement, WADA said the team which travelled to the laboratory was given “full access” and was able to “make forensic images of all of the data from the laboratory instruments and from the back-up hard drives on the server”. WADA added that the delegation, which was initially unable to carry out its work owing to a row over equipment, “also took forensic images of further data, including metadata” which will assist in the verification process, expected to take between two and three months. Today’s decision had been widely expected as WADA were thought to be reticent to suspend RUSADA again given they have been able to obtain the sought-after Moscow Laboratory data. Sir Craig said he was hopeful “athletes and others see that we are making good progress in that regard”.